8 Blade Matt Master. Easy & efficient to remove matts & tangles. Micro-serrated, stainless steel blades are shaped for optimum cutting effect. Rounded ends for safety – ideal for first time de-matters! 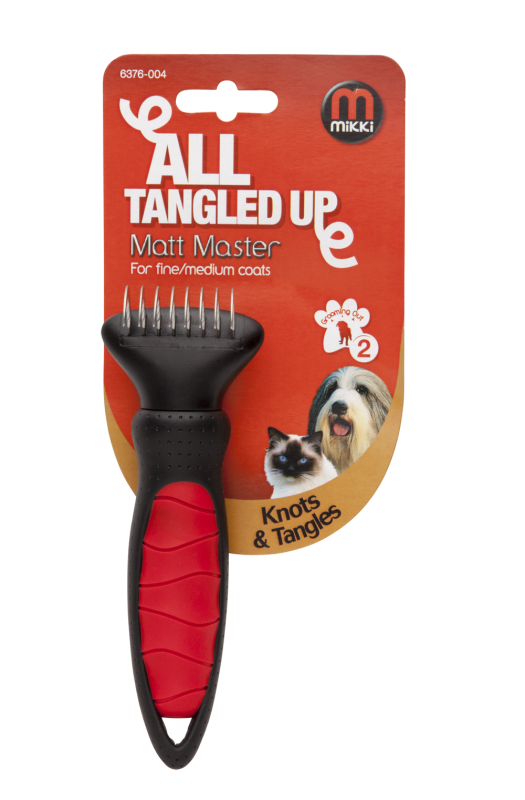 Firstly, comb or brush through the coat to identify matted hair. Then use the Matt Master with short strokes gently. With very dense matts, use a sawing motion by rotating the twist. When clearing a matt hold the hair close to the roots to avoid lifting the skin.